Everyone loves a properly massive football stadium, don't they? One that's so big it's almost obnoxious. That said, there are plenty of stadiums throughout the world that are both massive yet wonderfully designed, an apt reflection of the beautiful game that takes place within its grounds. Below you'll find both, as we've listed the 50 biggest football stadiums in the world by capacity. *Note, all figures represent the stadium's seating capacity. Known as Saint Petersburg Stadium during the 2017 Confederations Cup and 2018 World Cup, the Gazprom Arena is one of the most expensive stadiums ever built at a reported cost of $1.1bn. 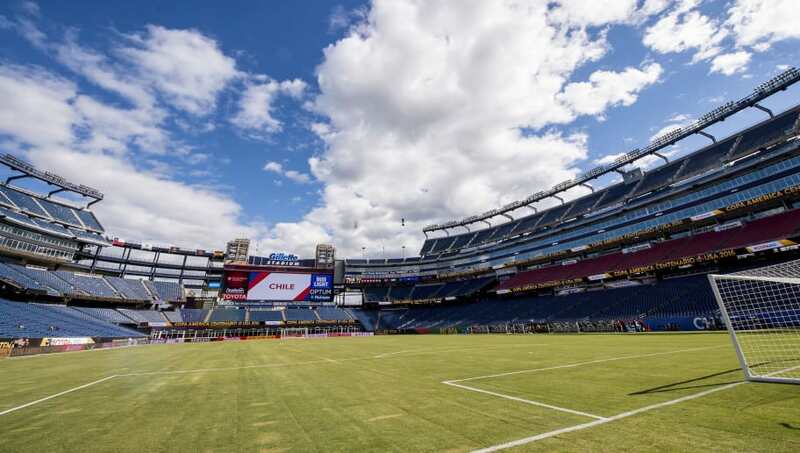 Home to the New England Patriots of the NFL and the New England Revolution of MLS. 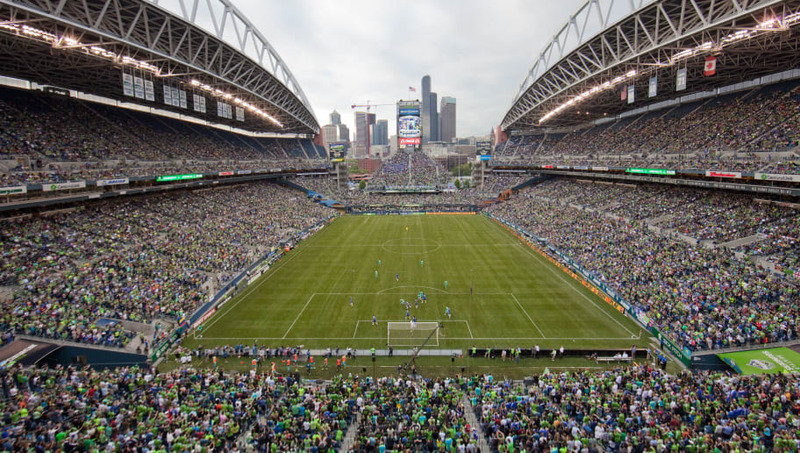 One of the coolest stadiums on this list, the ground is used by the Seattle Seahawks of the NFL, and the Seattle Sounders of MLS. 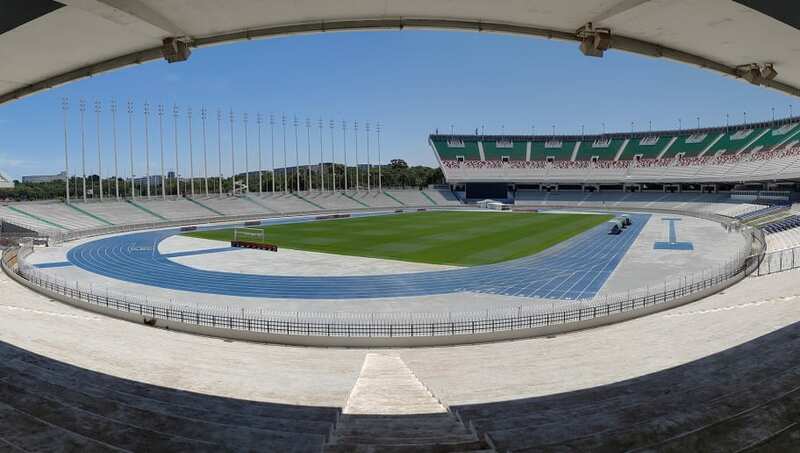 Built for the 1972 Summer Olympics, the ground was also used during the 1974 World Cup, Euro 1988 and the 1993 and 1997 Champions League finals. 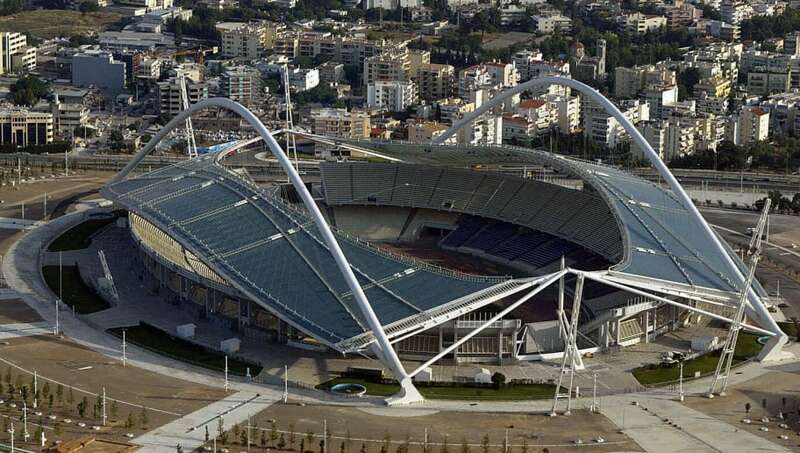 Named after the first modern Olympic marathon gold medalist in 1896, Spyros Louis, this ground is home to AEK Athens, Panathinaikos, and the Greek national team. 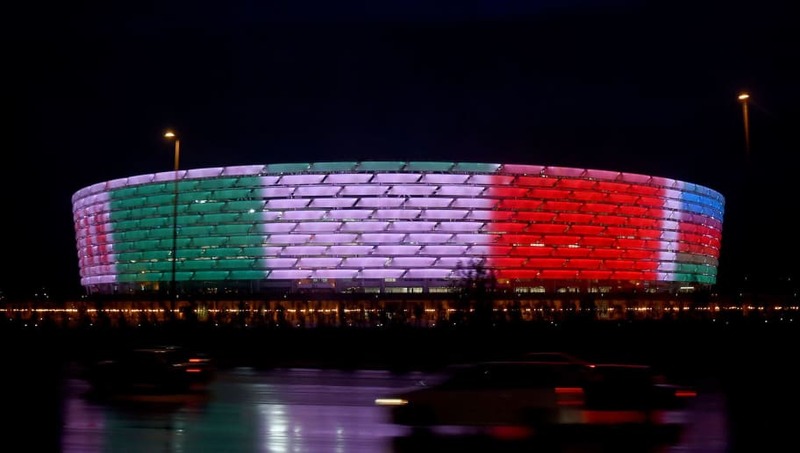 Home of the Azerbaijan national team. 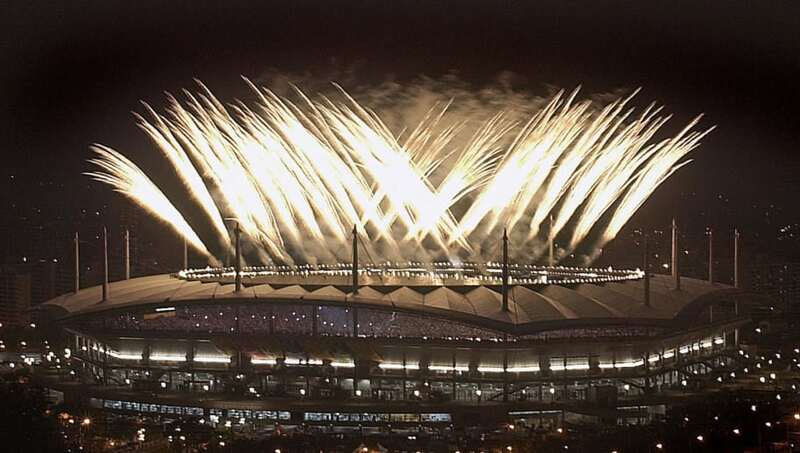 Built for the 1988 Summer Olympics, this ground was once home to the South Korea national team. Seoul E-Land FC, of the K League 2, now plays its home games here. 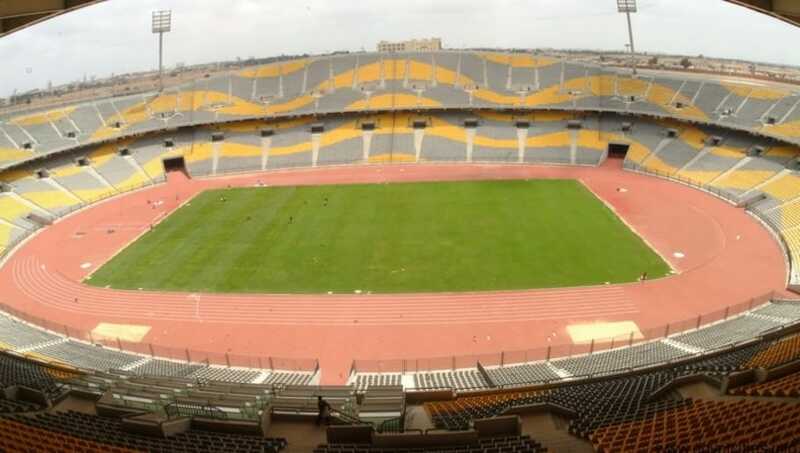 Also known as the El Djezair Stadium, the ground got its name from the day Algeria declared independence from France. 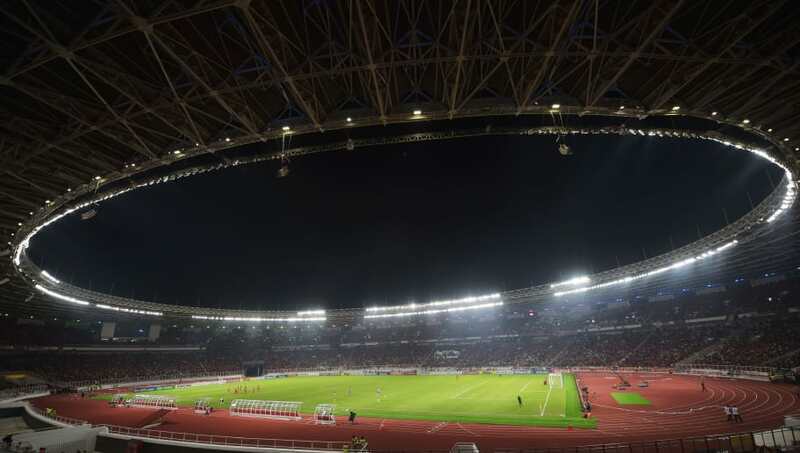 Liverpool fans won't have the fondest memories of this ground - it was the site where they were defeated by Real Madrid in the 2018 Champions League Final. 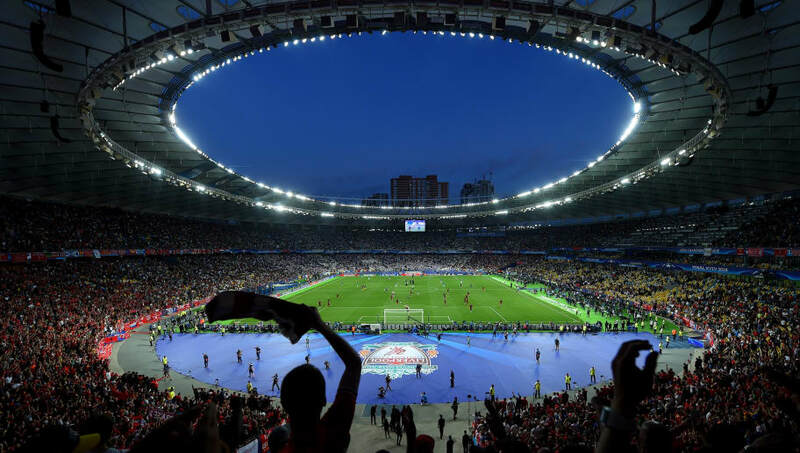 The venue was also used during Euro 2012. 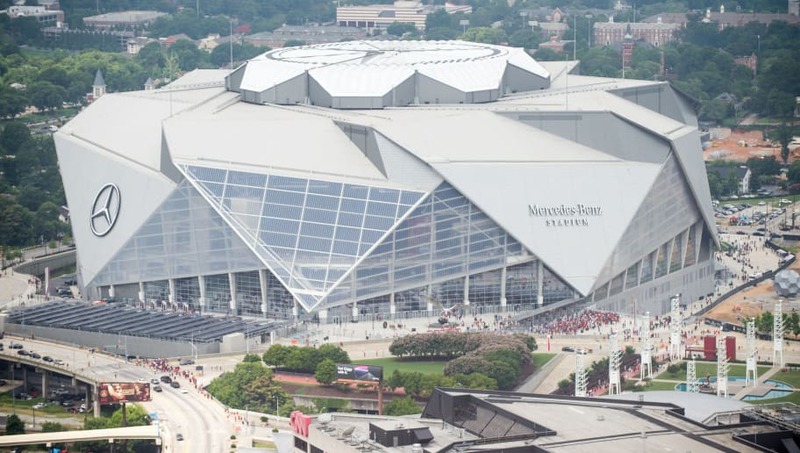 This ground is predominantly used by the Atlanta Falcons of the NFL, but is also home to MLS side Atlanta United - who just happened to win the MLS Cup in 2018. 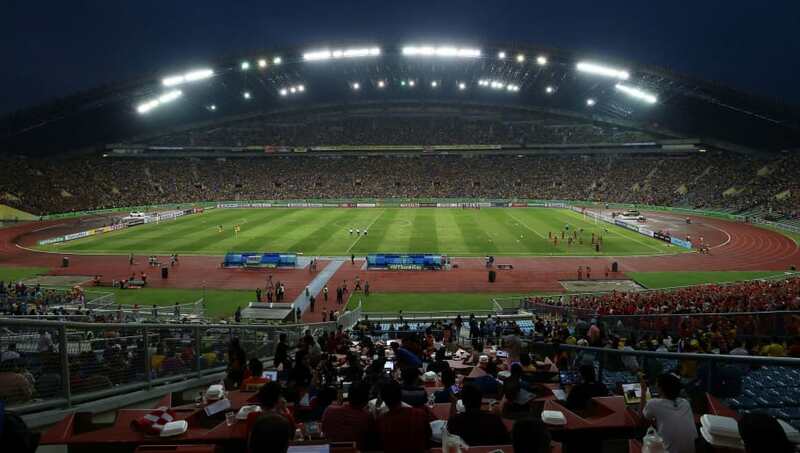 Technically, the ground's capacity for 'soccer' is a more modest 42,500, but it can be expanded for a special events (such as soccer playoff matches), hence the larger figure. 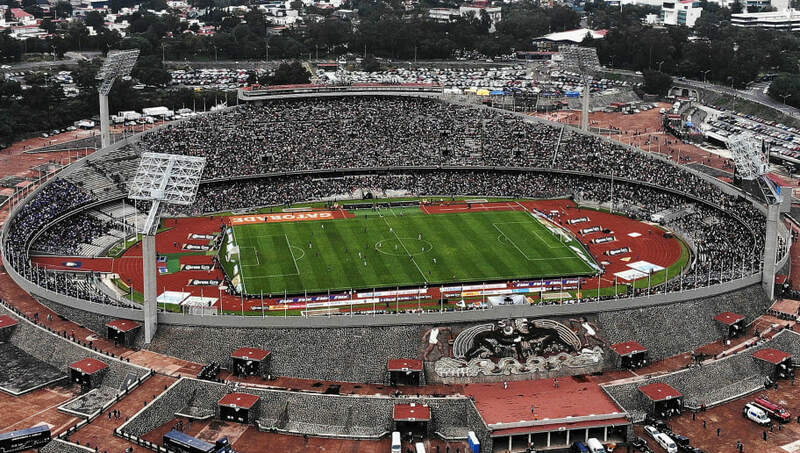 This famous ground has hosted some big events and clubs over the years, including the 1968 Summer Olympics, and the 1986 World Cup and home games for Club America and Atlante. 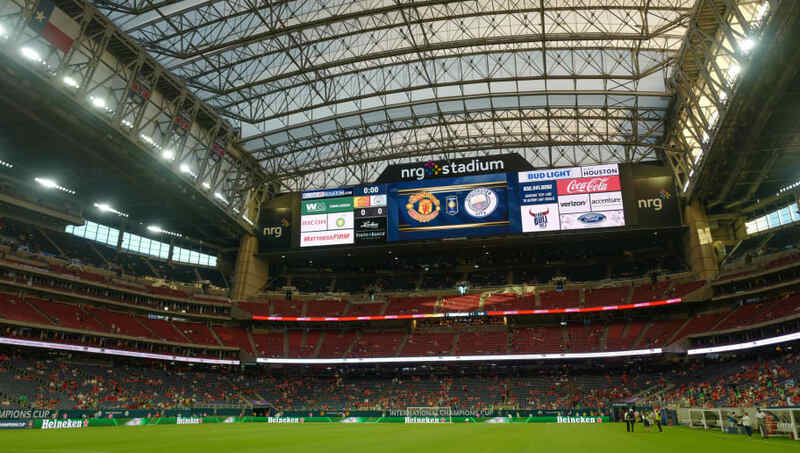 Another NFL stadium that's seeing a lot more football action, this Texas venue hosts select games for the U.S. national team as well as the Houston Dynamo of Major League Soccer. It will also feature matches during the 2026 World Cup. You may remember this venue from the 2002 World Cup - it did host the final, after all. It will also host matches for the 2019 Rugby World Cup. 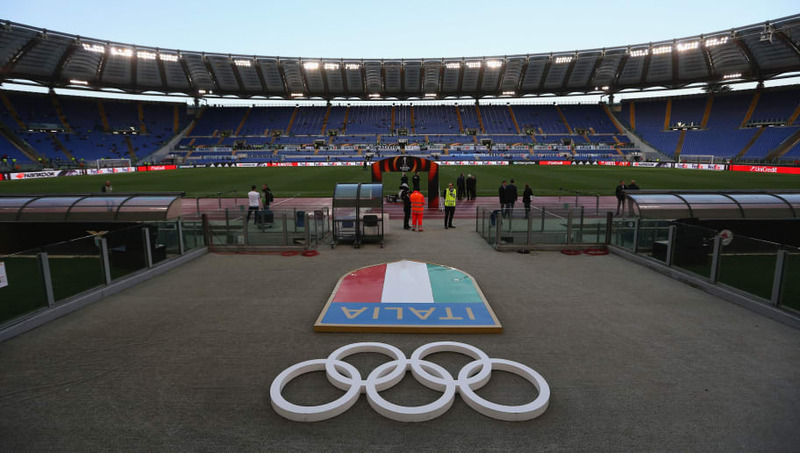 Home to Italian giants Lazio and Roma, the famous ground hosted matches during the 1990 World Cup. It also hosts the Coppa Italia final each year. 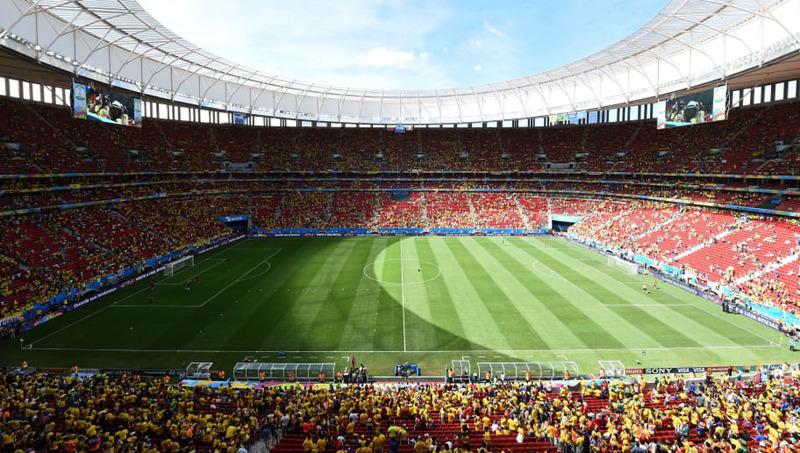 This stadium, used for the 2014 World Cup and the 2016 Summer Olympics, is named after football legend Mané Garrincha, who won the 1958 and 1962 World Cup with Brazil. One of the most beautiful stadiums in world football, the Olympiastadion was designed by Werner March for the 1936 Summer Olympics. 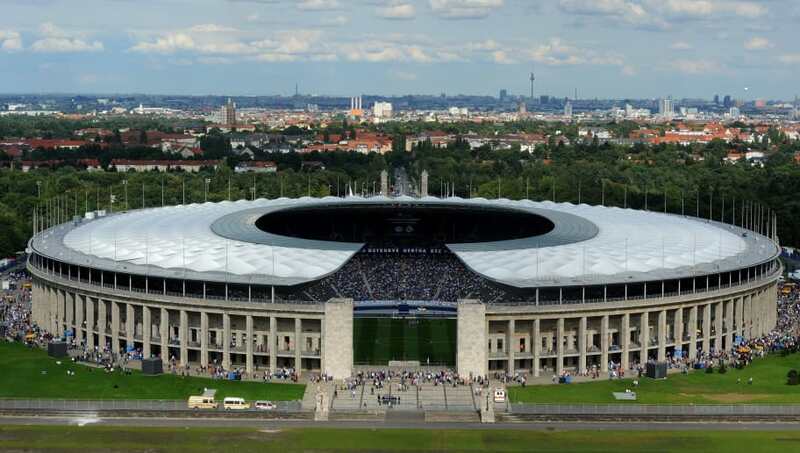 Since 1963 it has been the home ground for Hertha BSC, and hosted matches during the 1974 and 2006 World Cup. The German Cup (DFB-Pokal) final match is held each year at the venue. 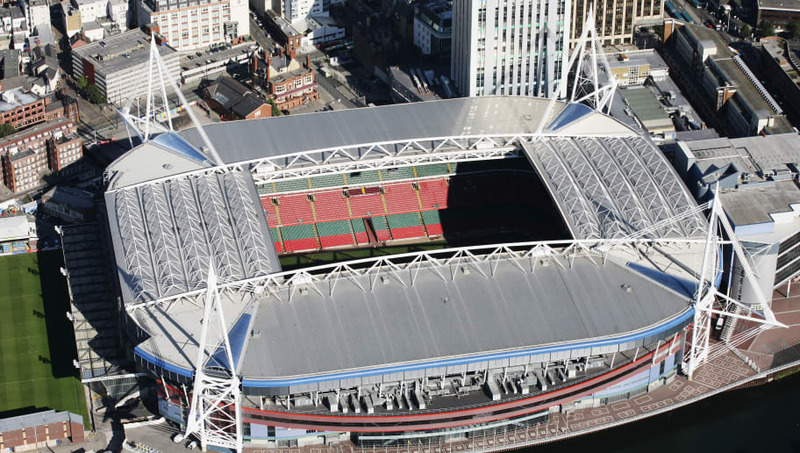 Primarily used for rugby (it was built to host the 1999 Rugby World Cup), the Principality Stadium - formerly known as the Millennium Stadium - hosted the Wales national football team from 2001 to 2011, as well as multiple FA Cup and Football League play-off finals. 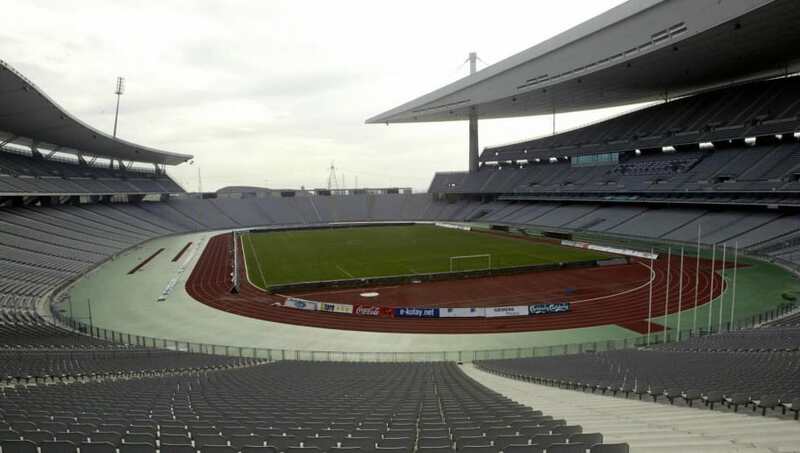 Prior to becoming an all-seater stadium, this venue could hold over 100,000 people. 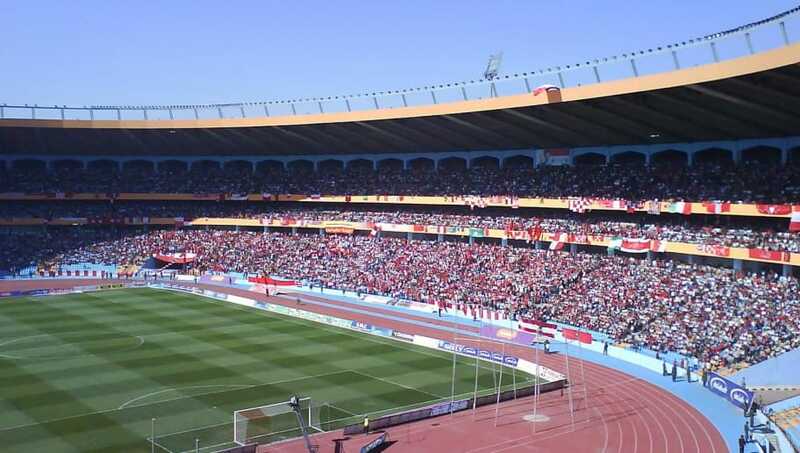 Cairo International Stadium is one of the playing venues regularly used by the Egypt national team - though it is not the permanent home for any side. Home to Sepahan F.C. of the Persian Gulf Pro League. 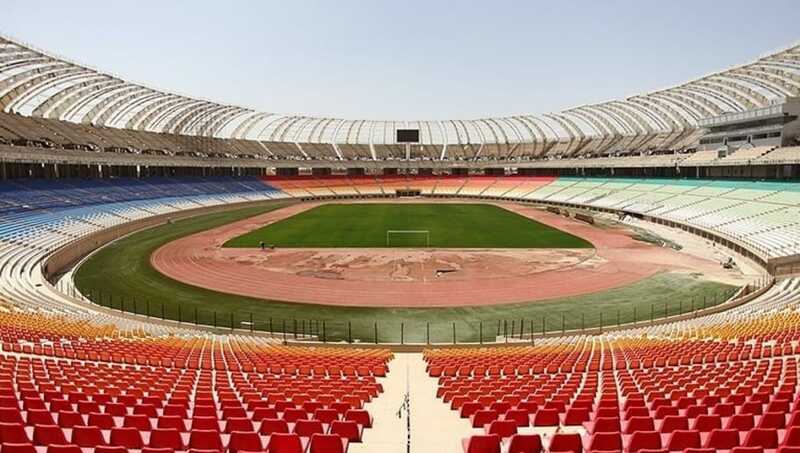 Home to Al-Ittihad football club, this stadium was severely damaged during the Syrian Civil War, though the Syrian government have begun repairing the ground with assistance from Iran. 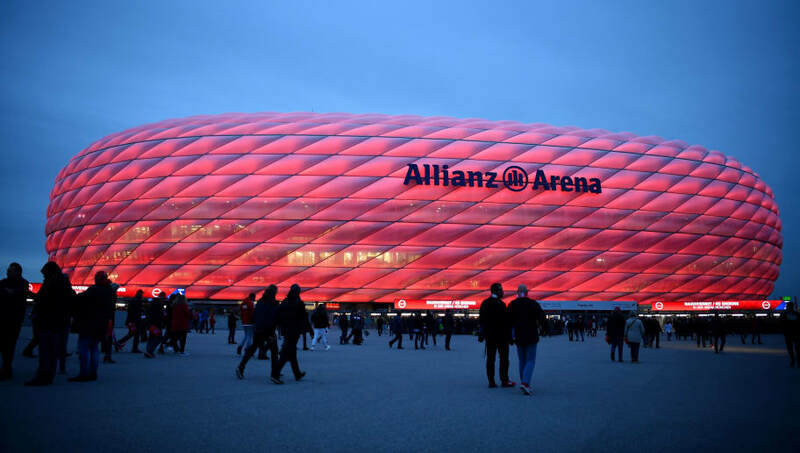 A marvellous feat of German engineering, the interior of the Allianz Arena is matched only by it's exterior, which holds inflated ETFE plastic panels, making it the first stadium in the world with a full colour changing exterior. 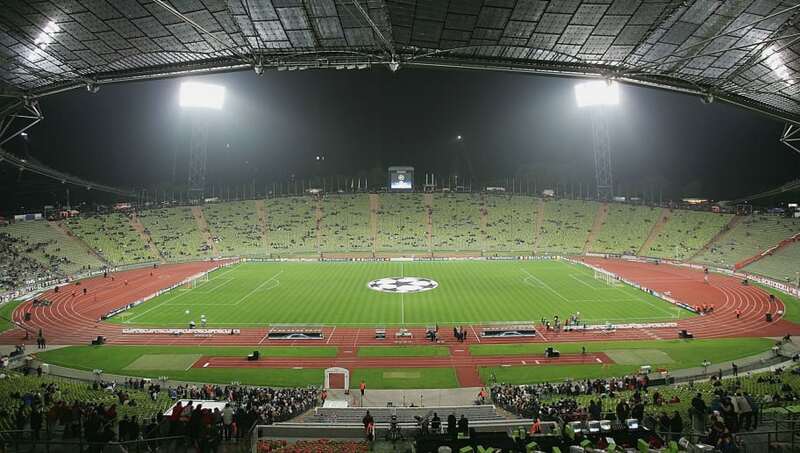 Home to Bayern Munich (obviously), the ground saw action during the 2006 World Cup and 2012 Champions League final. 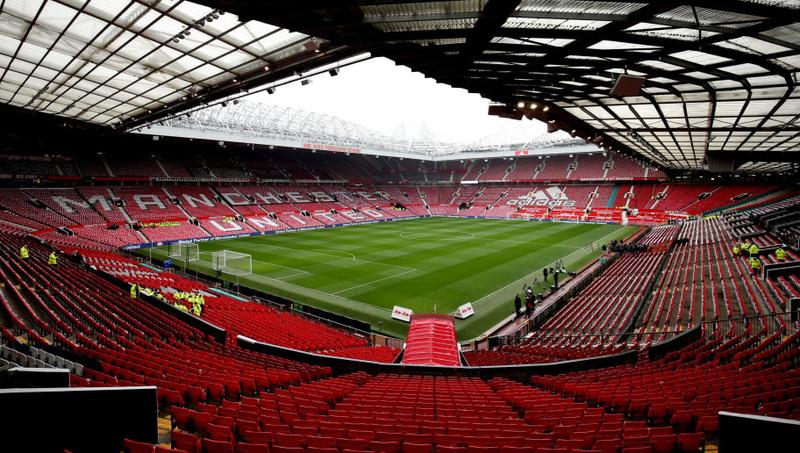 The Theatre of Dreams is the United Kingdom's biggest club stadium, and has been home to Manchester United since 1910. The famous ground hosted the Champions League final (2003), matches at the 1966 World Cup and Euro 96, matches at the 2012 Olympics, and the final of two Rugby League World Cups. This stadium was built as part of Turkey's failed bid to host the 2008 Olympics, and ended up costing $140m. It was quickly repurposed to host a number of clubs over the years, including Galatasaray and Besiktas. It's now used by the Turkish national side. Yep, that's the right name. 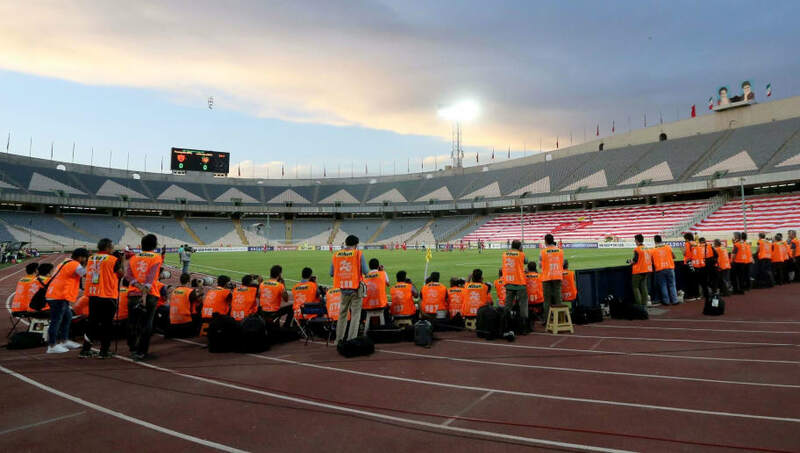 The Azadi Stadium is home to Esteghlal and Persepolis of the Persian Gulf Pro League, as well as the Iranian national team. Bet you were waiting for this historic ground, weren't you? Arguably the most famous stadium in world football, Estádio do Maracanã's record attendance was 199,854 during the 1950 World Cup final, when Uruguay became world champions after beating Brazil 2-1. 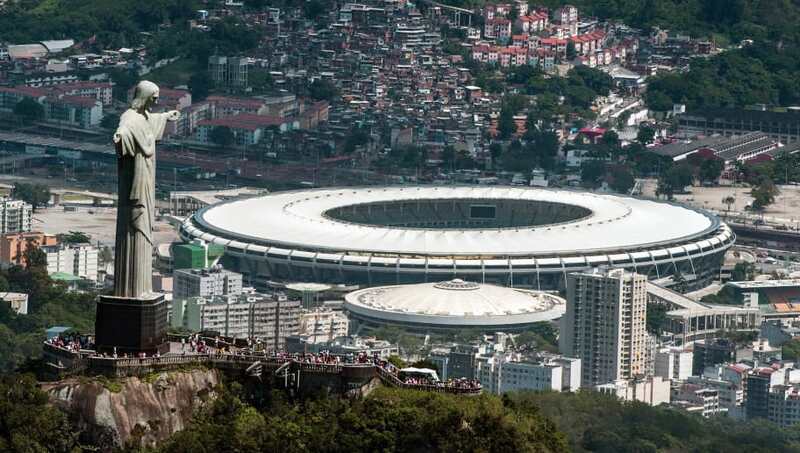 It was renovated in 2013 in preparation for the 2014 World Cup, which dropped its capacity to almost 79,000, but sadly has fallen on some hard times following the 2016 Summer Olympics. 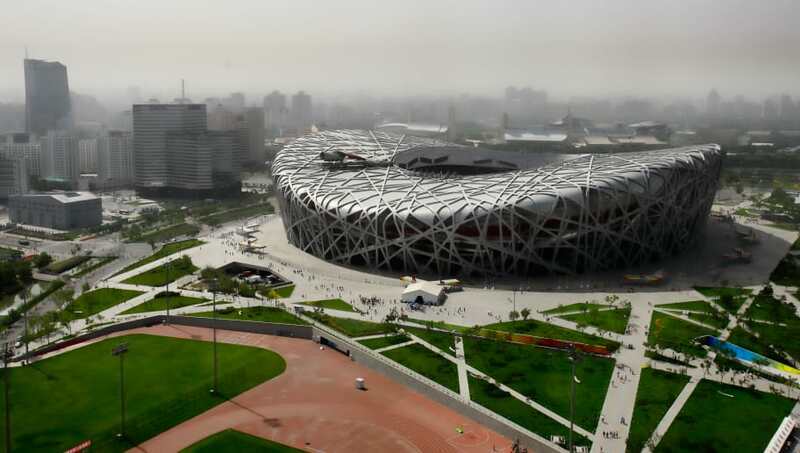 Nicknamed the 'Bird's Nest' - for obvious reasons - this fantastic piece of architecture was designed for the 2008 Olympics and Paralympics, and will be used again for the 2022 Winter Games. The Chinese national football team also plays select matches at the ground. 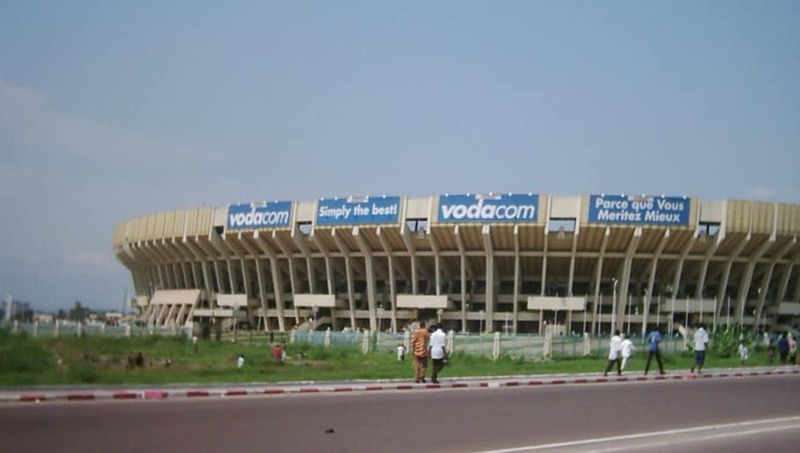 Home stadium for the national team of the Democratic Republic of the Congo and the AS Vita Club and DC Motema Pembe of Championship Democratic Republic of the Congo football. Look at the size of that jumbotron. 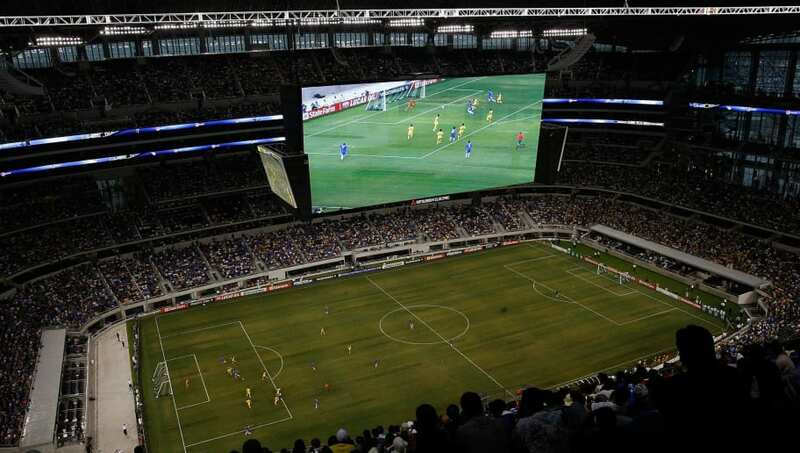 Forget watching the action on the pitch in front of you, just stare at the bloody great big screen hanging over your heads. What a world we live in, eh? Home of the Dallas Cowboys, this giant stadium's total capacity (including standing) is over 105,000. 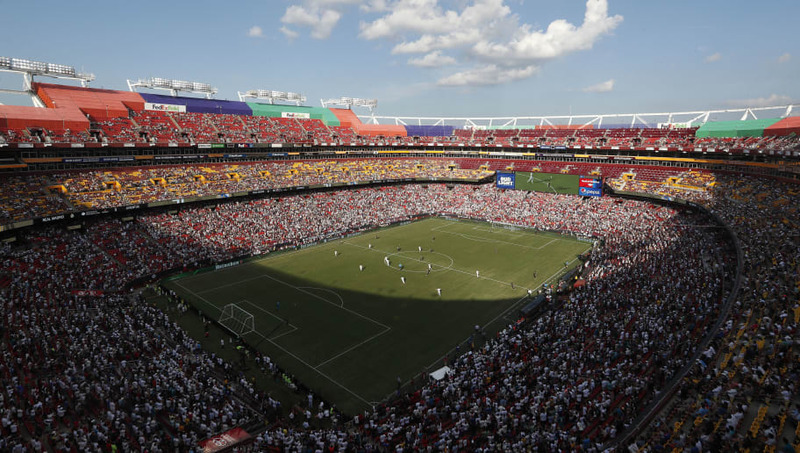 It's hosted the 2009, '11 and '13 CONCACAF Gold Cups, and will be a host venue for the 2026 World Cup. 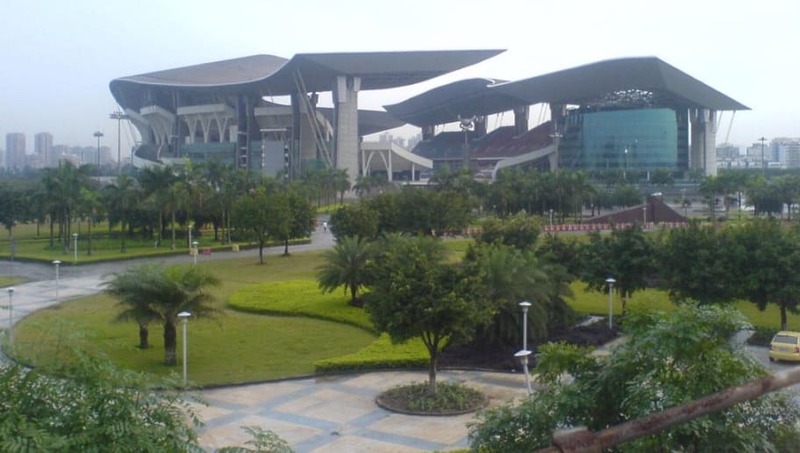 The largest stadium in China by seating capacity, the Guangdong Olympic Centre Stadium (or Aoti Main Stadium) is home to Guangzhou Evergrande Taobao F.C. of the Chinese Super League. The Giuseppe Meazza Stadium (commonly known as San Siro) is one of those few stadiums in world football that is home to two teams. 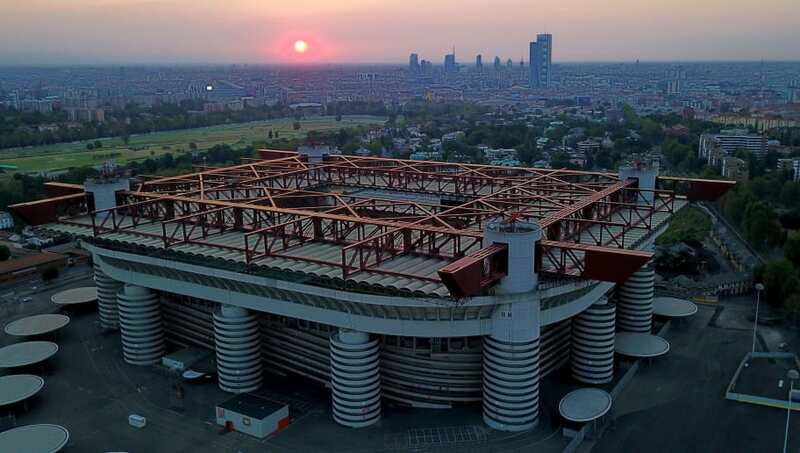 In this case, it's probably the most iconic, for Serie A giants Inter and AC Milan both lay claim to the historic ground. 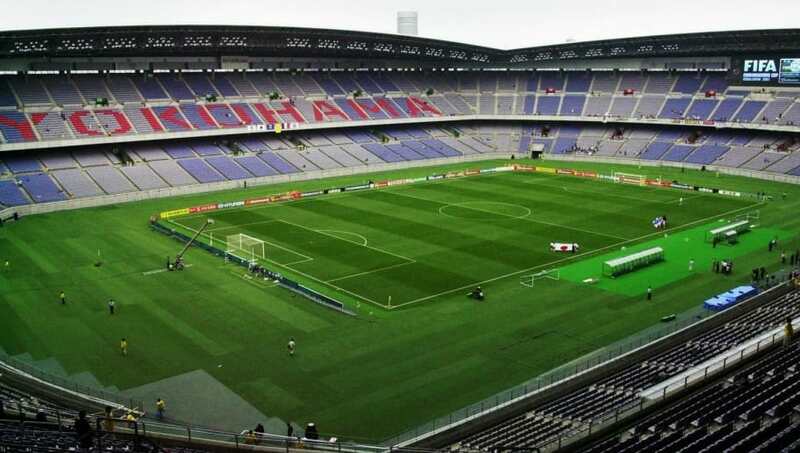 San Siro has also hosted matches from the 1934 and 1980 World Cup, as well as the Euro 1980. 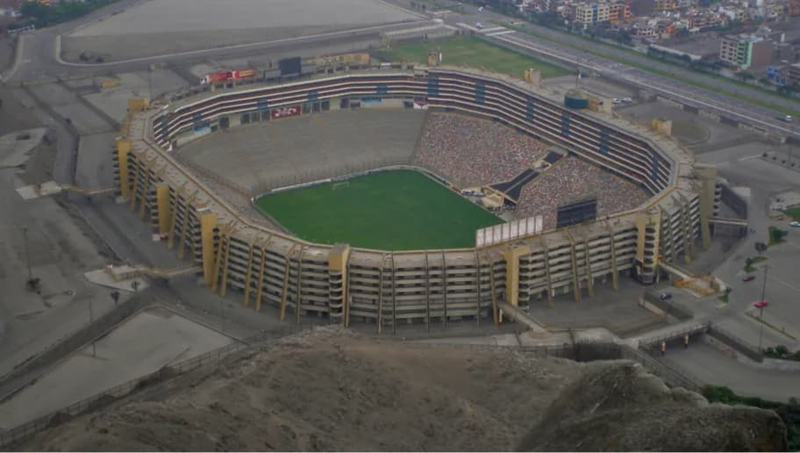 Home to Universitario de Deportes, this monumental stadium (exact translation) has hosted several of Peru's international matches, as well as Britney Spears' 'Femme Fatal' tour. So there you go. Another stadium where fans should get complimentary binoculars in order to stand a chance of watching the game. Brings back memories of the World Cup, doesn't it? 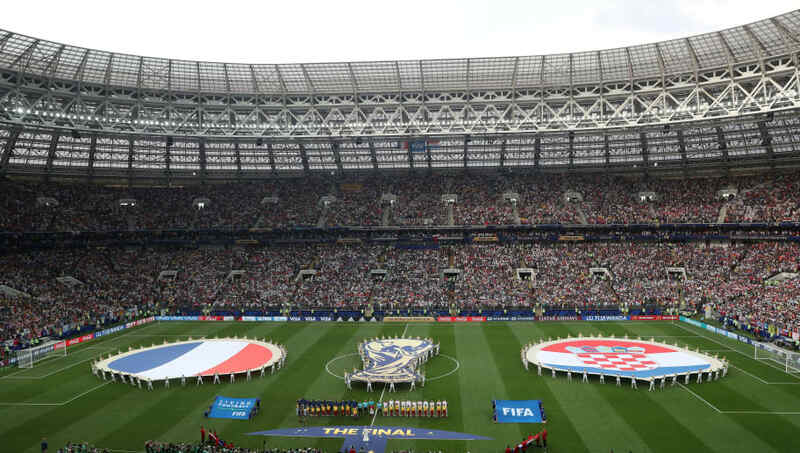 The stadium hosted the final of the tournament (as well as the opening game, several group matches and England's semi-final with Croatia) - not to mention the 1980 Summer Olympics. 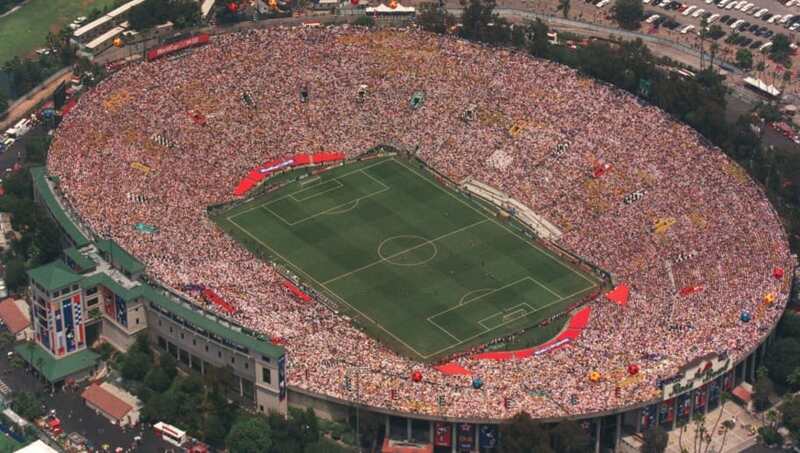 Before the stadium was renovated with a roof and other amenities in 1996, it could reportedly hold 100,000 people. In 1982, there was a deadly human crush at the stadium during a UEFA Cup match between FC Spartak Moscow and Dutch side HFC Haarlem when fans started rushing to the exits in order to catch the metro. 66 people, mostly adolescents, died in the stampede. The famous ground of Real Madrid needs no introduction. 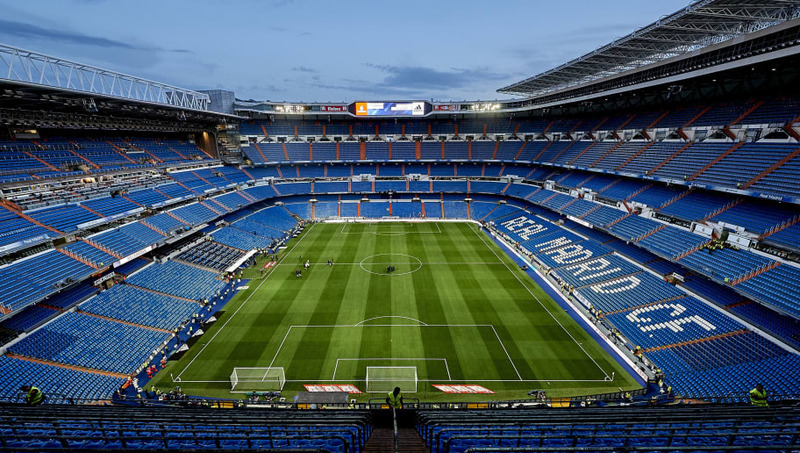 Estadio Santiago Bernabéu has hosted the Champions League final on four occasions, as well as the final matches for the 1964 European Nations' Cup and the 1982 FIFA World Cup. Fans of the 1998 World Cup will remember this beauty as the showpiece venue for that incredible tournament. 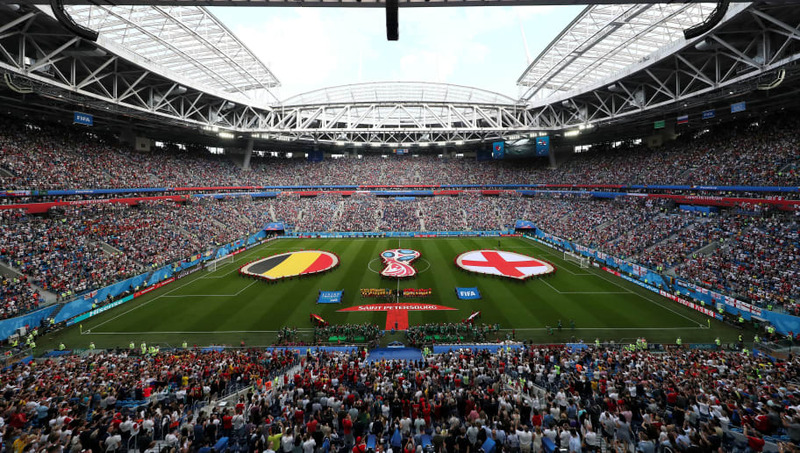 It now hosts home matches for the French national rugby and football teams, as well as litany of other sporting events (including the 2016 Euros, where France lost in the final to Portugal). 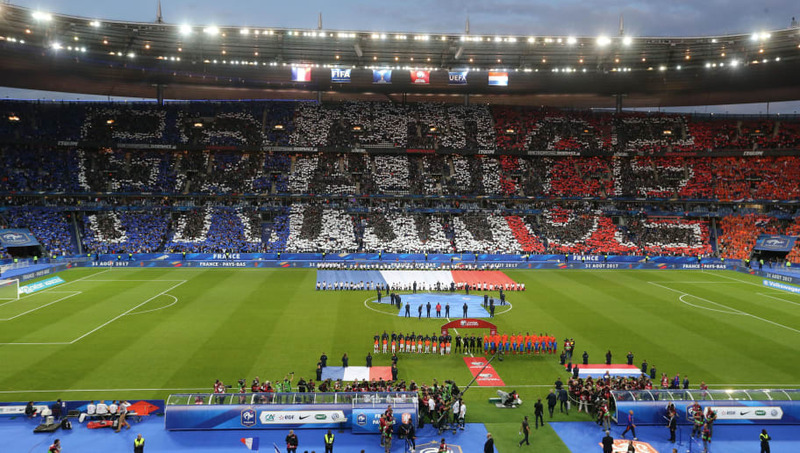 In fact, the Stade de France is the only stadium in the world to have hosted a football World Cup final and a rugby World Cup final. 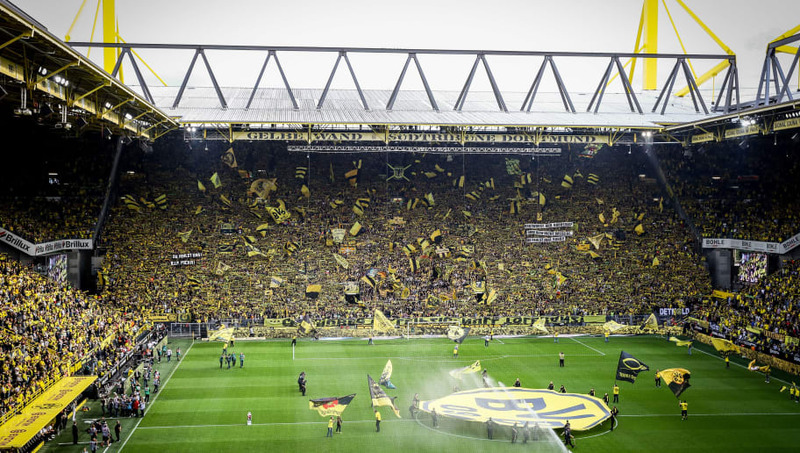 Signal Iduna Park, or the Westfalenstadion, as it's more commonly known - is Germany's largest stadium and an iconic ground in club football. The south terrace, known as the Südtribüne, holds 24,454 making it the largest terrace for standing spectators in European football. You may know it by another name: The Yellow Wall. On top of the Bundesliga and Champions League football it hosts, the Westfalenstadion also hosted the 2001 UEFA Cup Final and matches during the 2006 World Cup. One could argue that FedEx field shouldn't be on this list, since it's predominantly an NFL stadium and the soccer games it has hosted have mostly been club friendlies. With that said, the stadium did host matches from the 1999 Women's World Cup, and it is being considered as a potential venue for the 2026 World Cup. Home to the New York Giants and New York Jets of the NFL, the stadium also hosts selected matches for the New York Red Bulls of MLS. 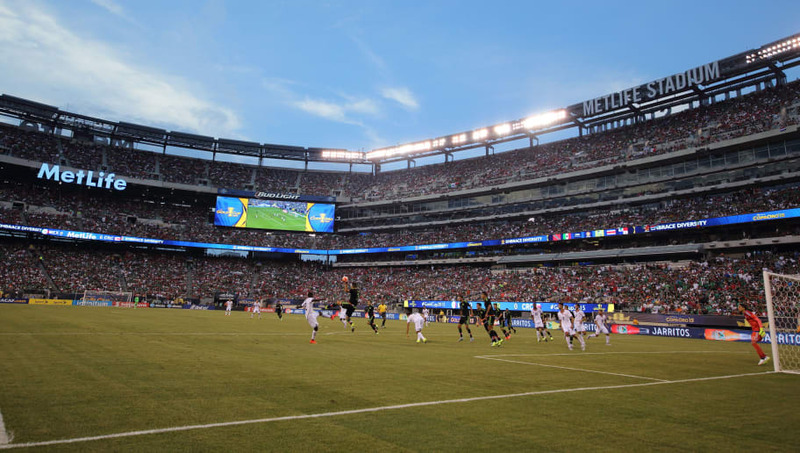 MetLife was also a match venue for the Copa América Centenario, and will host matches for the 2026 World Cup. Aussies love their sport, and the ANZ stadium - also known as the Sydney Olympic Stadium, Homebush Stadium or simply the Olympic Stadium - plays host to all variety, including football. It has hosted Olympic events, rugby games, cricket tournaments, and of course football matches (including select games for the Australian national team). Oh, you thought West Ham's fans were far from the pitch at the London Stadium? Spare a thought for the poor buggers watching a game here. 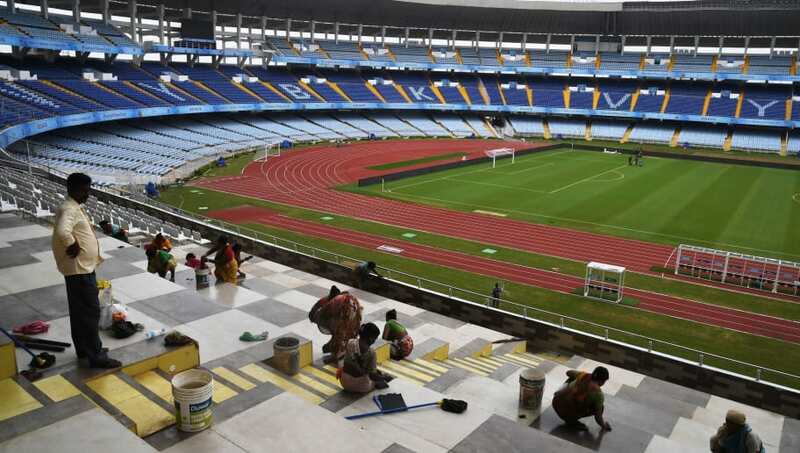 Not to be confused with Real Salt Lake of the MLS, the Salt Lake Stadium (officially known as Vivekananda Yuba Bharati Krirangan) once had a capacity of 120,000, but renovations in 2011 dropped it to 85,000. 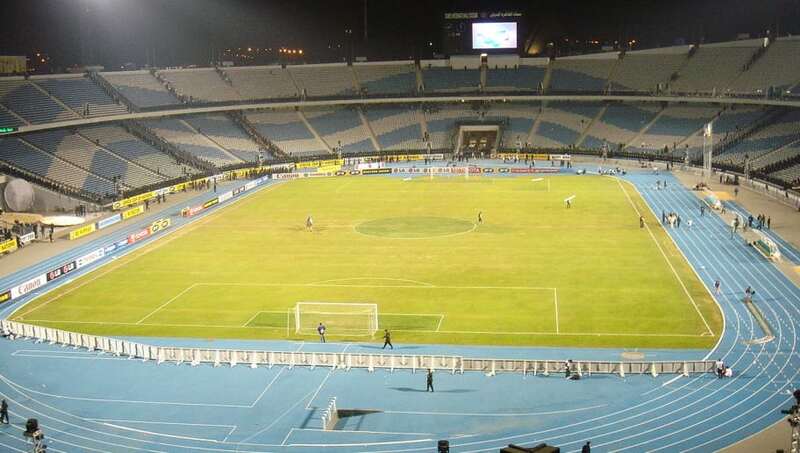 Home to the Egypt national team, you may recognise this stadium as the site where earlier this year Mohamed Salah scored the winning goal that sent the Pharaohs to their first World Cup since 1990. 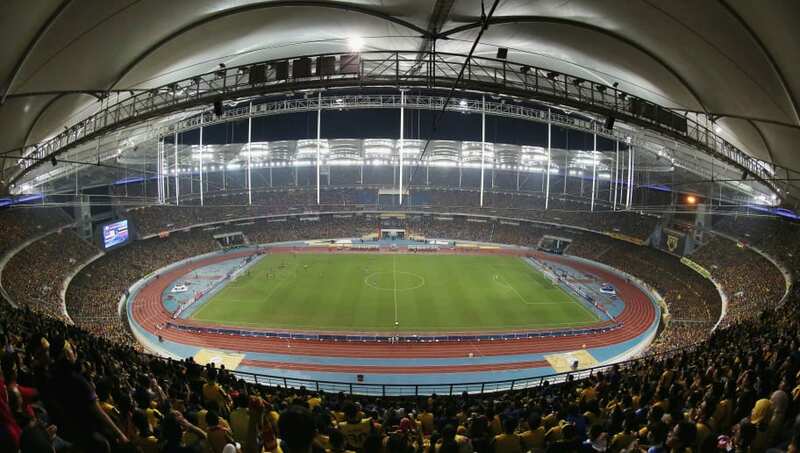 Opened in 1996, this giant ground is home to the Malaysian national football team and is the biggest football stadium in South East Asia. Thanks to a massive renovation, the stadium recently won the 2018 Stadium of the Year award at the World Stadium Congress Awards in Amsterdam - shame the football being played there (Malaysia are 169th in the world) won't match the excellence of the ground. 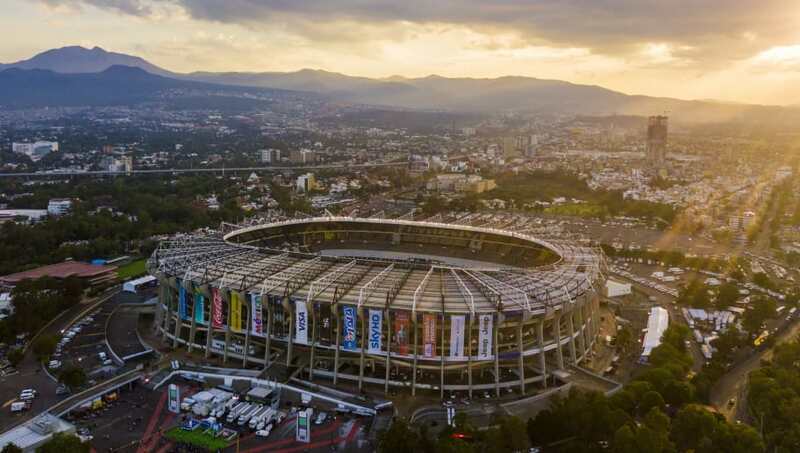 Another legendary stadium to marvel over, the fantastically named Estadio Azteca is home to Club América, Cruz Azul and the Mexico national team. This ground is the first to have hosted two World Cup Finals (1970 & 1986), and was also the site for Diego Maradona's infamous 'Hand of God' goal against England in 1986. No stadium can replace the old Wembley, but its successor has done a mighty fine job as the new 'home' of football. 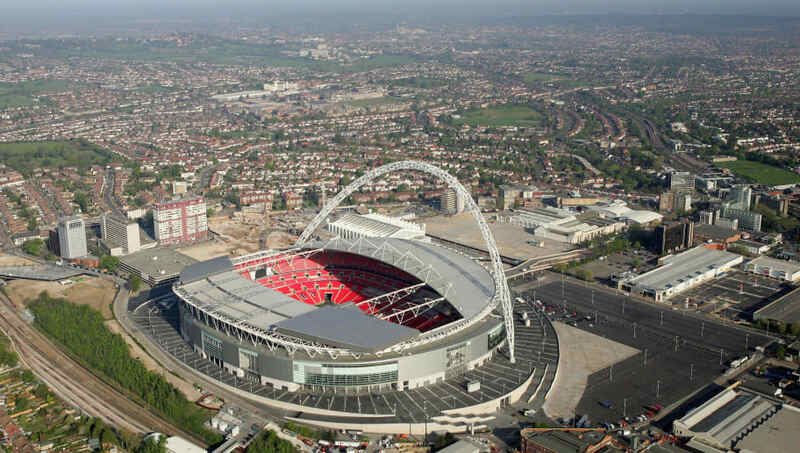 Versatile and large enough to host Olympic events, concerts, NFL games and of course football matches, Wembley is an iconic venue in sport and entertainment. American's love their huge stadiums - one only need look at the behemoths of the NFL and College Football to see that for the Yanks, bigger is truly better. In fact, the Rose Bowl is home to the University of California's Los Angeles Bruins. Imagine your Uni team trotting out to play in front of 90,000 people. 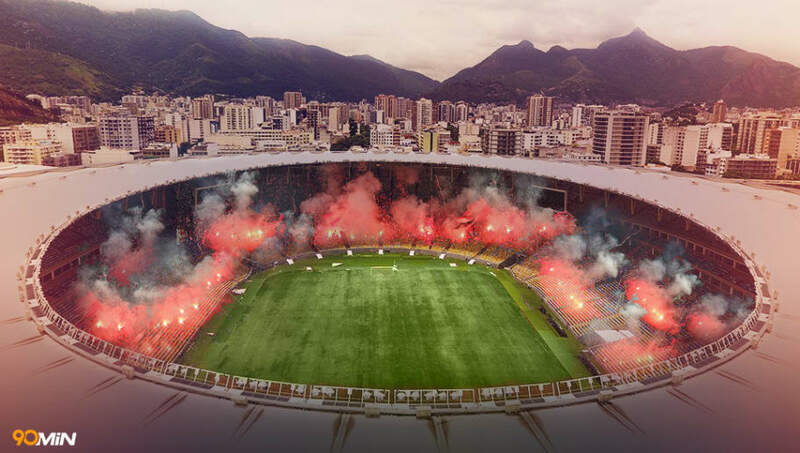 The stadium hosted the '94 World Cup final between Italy and Brazil, and thanks to the lack of a roof, the world was treated to a spectacular view of the match (like the picture above). 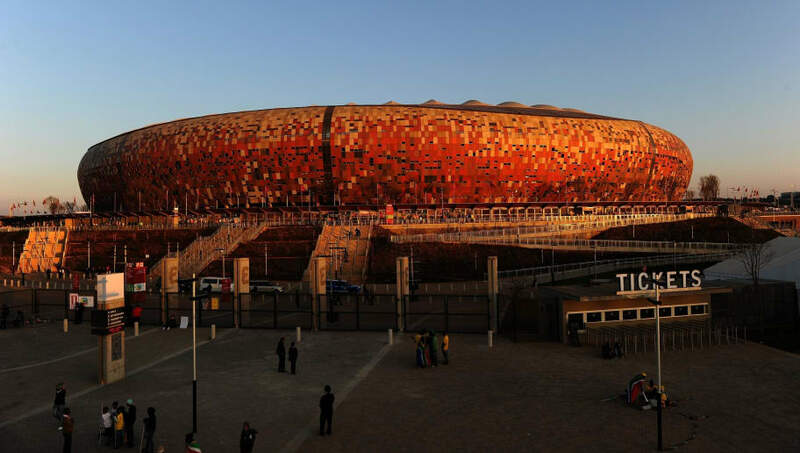 It may not look that big from the outside, but rest assured, FNB Stadium - also known as Soccer City - is HUGE. We wanted to show you the outside because, well, just look at how pretty it is. You'll probably recognise the ground as the main venue from the 2010 World Cup in South Africa - it's also home the South Africa national team, as well as club side Kaizer Chiefs. The biggest club ground in world football, Camp Nou is an icon to all who follow the beautiful game. Many fans of football - not just Barcelona - long to take a pilgrimage to the site that has seen some glorious football over the years, and been home to legends of the game including Johan Cruyff, Ronaldinho, Lionel Messi, and many, many more. 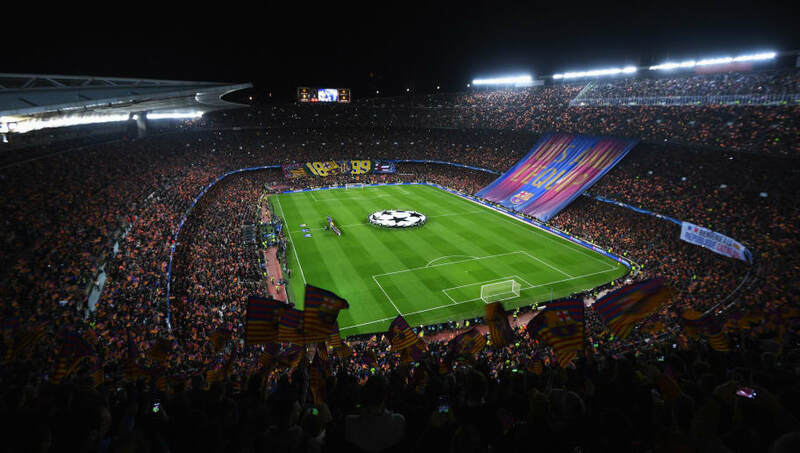 In April 2018 the club got the go-ahead from Barcelona's city council to expand the capacity of Camp Nou to 105,000, which will cost roughly €600m and move it to the second biggest football stadium in the world. 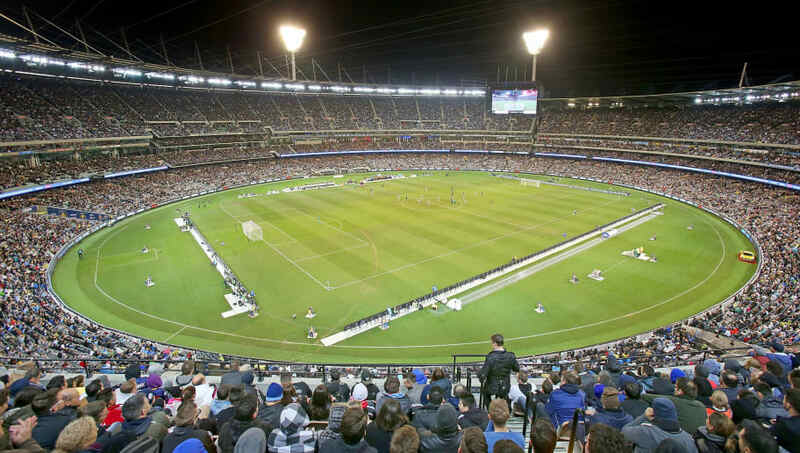 Sure, Melbourne Cricket Ground - also known as "The G", which is far cooler - is predominantly used for cricket matches. 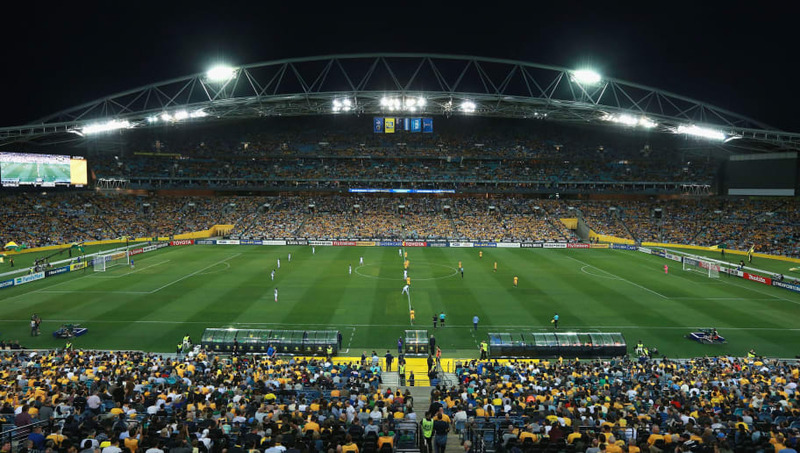 But the stadium has also hosted Olympic events, Australian Rules Football games, as well as World Cup qualifiers and matches for the Socceroos. The G opened in 1853 and has been in almost constant state of maintenance and development. Fun fact about the ground - it has the tallest light towers of any sporting venue. Blinding. 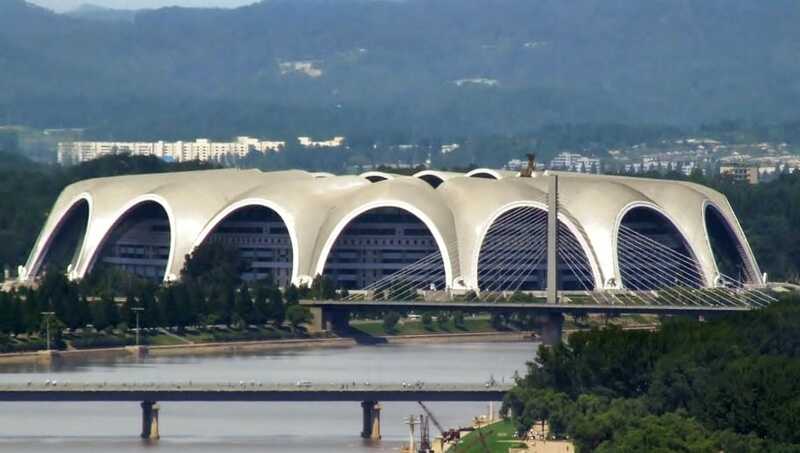 Topping the list is the massive Rungrado May Stadium, also known as the May Day Stadium, located in Rungra Island, Pyongyang, North Korea. The site of the stadium alone occupies 51 acres, and it's named after the International Workers Day celebrated on May Day in North Korea every year. 'Rungrado' is home to the North Korean football team, so hundreds of thousands of impoverished and abused Koreans get to forget about their troubles for 90 minutes to watch a team ranked 110th in the world.